Matt Lauer's interview with Bobby Brown airs Wednesday. Bobby Brown reflected on his 14 years with pop icon Whitney Houston on the "Today" show Wednesday and defended his reputation in the wake of her untimely death. The interview was Brown's first since his ex-wife was found dead in the bathtub of her Beverly Hills hotel room in February. Since her death — which revealed that she hadn't fully abandoned a cocaine habit that had at various times plagued her career and 15-year marriage — attention has turned to Brown, who has long been painted as a poisonous influence on Houston. In the "Today" show interview, the first part of which aired Wednesday, Brown was defensive about his reputation as the bad boy who ruined Houston, insisting that he was not the one to get her started on drugs. "I'm not the reason she's gone," he said. NBC's Matt Lauer asked the R&B singer how it makes him feel when he hears that Houston's life "went downhill" after meeting him. "If makes me feel terrible," Brown said. "But you know, I know differently. I think if anyone ever knew us, if anybody ever spent time around us instead of lookin' through the bubble, they would know how we felt about each other. They would know how happy we were together." He admitted that watching "Being Bobby Brown," a 2005 reality TV show that brought to light Brown's and Houston's drug problems and was described by critics as a train wreck, was a "wake-up" call. "We was able to see what other people were saying about us, you know? We was able to see that our drug use had affected our relationship, had affected the love that we felt for each other," he said. Brown denied, however, being the one to introduce Houston to drugs. 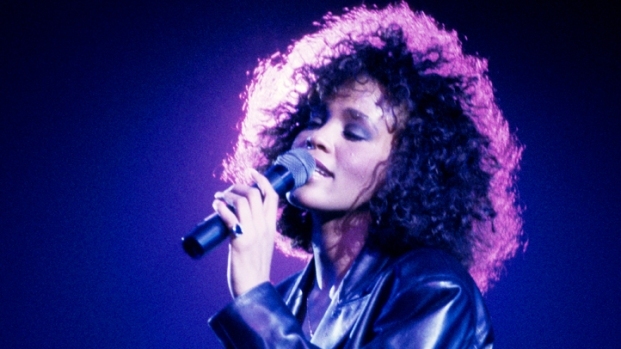 "I didn't get high before I met Whitney," Brown said. "Narcotics, no. I smoked weed, I drank beer, but no, I wasn't the one that got Whitney on drugs at all." Drugs, he said, were part of her life "way before" the two began dating. He said he was "hurt" to find out that cocaine had likely contributed to his ex-wife's death and that he assumed she had been clean because "everything about her was going upward." The last time he saw her, he recalled that she had "this glow about her that was just, you know, incredible. I'm saying to myself, you know, 'She must be... she must be doing really well,'" he said. "Me, being off of narcotics for the last seven years... I didn't know she was struggling with it still. But at the same time, you know, listen, it's a hard fight. It's a hard fight to maintain sobriety that way," he admitted. Brown said he still wondered if he could have done anything to have helped Houston in her struggles. "Maybe I could have done something different, you know, to ensure that she had a longer life. But you have to want it," he stressed. "God probably just needed her for the choir up there in heaven." Asked if his fond memories of their marriage were revisionist history, Brown was adamant. "I can honestly say that I loved that woman with everything that I am, and I believe she loved me the same way," he said. "My fiancée knows how I felt about that woman. My kids know how I feel, how I felt about Whitney. It's no secret, you know. I was in love with her, deeply," he told Lauer. In a second segment, set to air Thursday, Lauer interviewed Brown's fiancée, Alicia Etheride, and three children: Landon, Bobby Jr. and La'Princia, who all defended Brown's negative reputation. "They don't see the good part of him that we see every single day," La'Princia said. "Everyone goes through their ups and downs. You can't be judged forever about one event in your life or just the bad decisions you've made, you can't always be judged just by that." Landon added that his father is not the "New Edition" act fans might see on stage. "I feel like my father's always had the bad boy image. So, you know, they just keep followin' that. Anything that they can take a negative from the situation, they blow it out of proportion and blame him."